General Electric says it will be moving its global headquarters to Boston. The new facility will be located in the Seaport District of Boston. A full move is expected to be completed by 2018, but employees will be temporarily living in Boston starting summer of 2016. 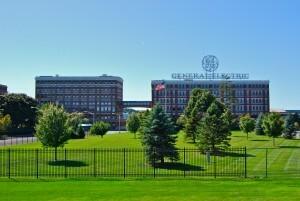 GE has had a significant presence in the state of Massachusetts in the past. There are approximately 5,000 employees currently across the state. These employees work in several businesses such as Aviation, Oil & Gas, and Energy Management. G.E. says some 800 people will be working at the Boston headquarters next year – 200 corporate staff and about 600 digital industrial product managers, designers and developers. The city and state offered approximately $120 million in incentives to lure General Electric to Boston. Other incentives included $5 million to find an innovation center to forge connections with GE and other innovators from Massachusetts research institutions.